The purpose of this web page is to provide easy access to the substantial collection of information on the biointensive method and other methods of organic agriculture. Contact Michael Richardson with recommendations of publications and other information that should be added to this page. SYMPHONY OF THE SOIL – By understanding the elaborate relationships and mutuality between soil, water, the atmosphere, plants and animals, we come to appreciate the complex and dynamic nature of this precious resource (from Lily Films). ANALYSIS OF SAMPLES (english): Grow Your Soil (by John Beeby) – John Beeby personally responds to questions and concerns from small-scale growers in Nicaragua, including how to manage problem soils. INSTRUCTIONS & SUPPLIES (english): Waypoint Analytical – This website provides instructions and supplies for soil testing. CCID BioNica and ADAR send soil samples to this laboratory. VIDEO (español): Procedimiento de Muestreo de Suelo (por Laura Patricia Mayagoitia) – Indica los pasos básicos para realizar el muestreo de suelo. MANUAL (english): Test Your Soil With Plants! (by John Beeby) – Discover how to find what fertilizers to use to optimize your garden’s health and productivity, simply by observing the plants in your garden. TABLE (español): Tabla de Nutrientes del Suelo – Parte de la planta afectada por la deficiencia del nutriente; síntomas; circunstancias externas que conllevan a la deficiencia del nutriente. IRRIGATION WATER ANALYSIS (english): Guide to Interpreting Water Irrigation Analysis (from Spectrum Analytic). WEB-BASED LIBRARY (english): infonet-biovision – This datasheet shows how growers can assess soil characteristics in the field without a laboratory. BOOKLET (español): Cuaderno de Hoja para la Vida: Cómo combatir la desnutrición y mejorar la seguridad alimentaria con los cultivos de hoja verde (David Kennedy – Leaf for Life). Este es un libro de herramientas prácticas que ayuda a las personas alimentarse mejor. Explica muchas opciones para hacer mejor uso de hojas verdes de vegetales en la dieta. BOOK (english): Twenty-First Century Greens Leaf Vegetables in Nutrition and Sustainable Agriculture (David Kennedy). Leaf for Life is one of the few groups in the world that focuses on the use of leaf vegetables. WEB-BASED LIBRARY (english): The New Crop Resource Online Program (Center for New Crops & Plant Products at Purdue University). Excellent presentation of plant profiles. 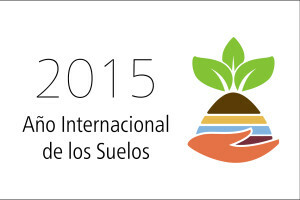 BOOKLET (español): Manejo Agroecológico Piña (Equipo Regional INPRHU-Somoto). Manual que he trabajado para el manejo agroecológico de piña, es un cultivo muy interesante y de fácil manejo que cada finca agroecológica debería experimentar. CATALOG (english): Pala recta y Bieldo (Clarington Forge) – The head of each spade (pala recta) and fork (bieldo) is individually forged from a single piece of steel for strength and durability. 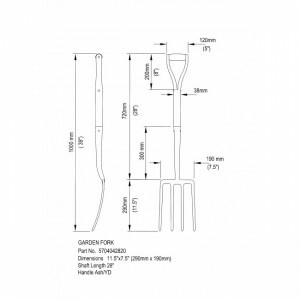 CATALOG (english): Bieldo (Lee Valley) – The CCID en Nicaragua recommends this stainless-steel digging fork (bieldo) with tubular steel handles with a molded plastic cover.